Cardinal Environmental was retained to advise on the removal of damaged ceiling tiles that were suspected to contain asbestos. After discussing the project with the WPI Assistant Director of Environmental Health and Safety and the Director of Facilities, Cardinal Environmental determined it was more prudent and cost effective to remove all the suspected ceiling tiles. Cardinal Environmental was called to an active project site where a plumber had encountered suspect material while attempting to restore heat to a multi-tenant building. With no heat and work halted, it was imperative to provide immediate services in a fast and safe manner. Removing the wet carpeting, exposed crumbling asbestos containing floor tiles that had to be removed before water mitigation could resume. Cardinal Environmental worked directly with the homeowner for scheduling the work. In this video, the technician is Media Blasting with Walnut Shell Grit to remove mold from the framing that was a result of water damage in a private residence. Cardinal Environmental uses primarily walnut shells or baking soda media which are biodegradable, non-toxic, and environmentally safe. Cardinal Environmental is a full service environmental company providing Asbestos Abatement, Mold Remediation and Media Blasting services for both commercial and residential properties throughout Massachusetts. Cardinal Environmental is a fully accredited, licensed and insured firm. Having a licensed Asbestos Inspector on staff allows us to quickly test for the presence of Asbestos containing materials. We work closely with a local laboratory and can receive same day test results when a rapid turnaround time is critical. such as Worcester Politechnic Institute and the Hanover Insurance Company. We are rapidly expanding our portfolio to include other prominent businesses and institutions in the greater Boston area as well. Our employees will take the time to explain the Abatement/Remediation process in full detail, answering all questions until our clients are fully informed and comfortable with the process needed to rid their home or business of asbestos or mold. The lines of communication are always open and everything is done according to code. The latest technology is used in every project we perform. 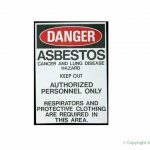 The equipment used for removal, gathering and disposal of asbestos and mold containing materials meets all UL, MSHA and NIOSH standards. Filtration and vacuum systems are utilized to removal all airborne particulates from the work site, a room or an entire building. With state-of -the-art resources like our high pressure turbo media blasting equipment, Cardinal Environmental can be relied upon to bring the job in on time and on budget. Cardinal Environmental looks at the problems of asbestos abatement from your viewpoint. We are fully aware of all health and safety issues. We are up to date on all regulations, and completely understand your needs for a non-disruptive cost effective program. That’s why you can rely on Cardinal Environmental to perform your project as promised in less time than you might expect. We have the background, the ability and the desire to do the job right the first time, every time.